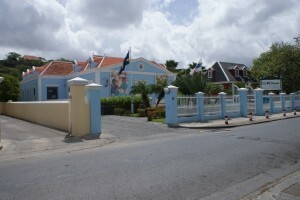 WILLEMSTAD - The risks of the Giro Bank are under control, but people have to be fired. This is according to the statements of Deputy Director Supervision Shelwyn Salesia of the Central Bank of Curacao and Sint Maarten. The Girobank has been under the supervision of the Central Bank since 16 December 2013 because the solvency of the bank went in the wrong direction, according to Salesia. The instructions to the Giro Bank to manage the risks were not followed up in accordance with the requirements of the Central Bank. That is why, according to the deputy director, it was necessary for the Central Bank to impose the emergency regulations on the Girobank. What happened exactly in the past four and a half years, Salesia does not want to say because this is covered by the duty of confidentiality. Or the number of layoffs is more than 100, he does not want to confirm. Supervisor Freddy ten Holt of the Central Bank stated that they will first talk with the staff, before coming out with more information. That this means that the redundancies will fall in the short term, Salesia also does not want to confirm.